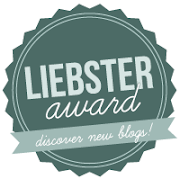 Lovely Kayte from Imminent Beauty has nominated me for the Liebster Award, an award for blogs with less than 200 followers. 4. 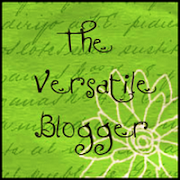 Come up with 11 questions to ask the 11 people you nominate. 3. I had my first kiss when I was 15, I would describe it as wet!! 1. What is the furthest place you have travelled too? 2. What was the first makeup product you owned? 3. Favourite Holiday you've been on? to not have to work and volunteer my time instead. 7. False lashes or false nails? 8. If you were a character from Friends who would you be? 9. What are you looking forward to most this year? 10. What is the best present you ever received. 11. What is your favourite childhood memory? 1. Which Disney princess would you be? 2. What's your favourite flavour ice cream? 3. Where would you go on your dream holiday? 6. Best nail polish brand you have ever used? 7. To Tattoo or Not to Tattoo? 8. Your most scariest moment? 9. Cat person or Dog person? 10. Do you collect anything? Kayte thank you for nominating me, I had lots of fun doing this :o) I hope my nominations enjoy this as much as I did. And wow, eight tattoos! I would love to see what they look like. Sanja, I look forward to reading your answers!! @ Tan Glens, your very welcome, I am looking forward to reading your answers lol.